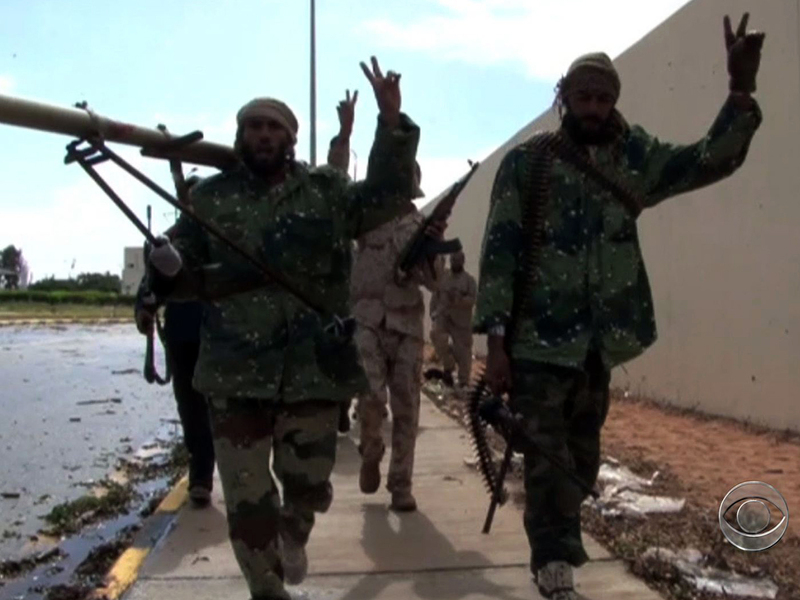 (CBS News) BENGHAZI, Libya - "It will never work," the Libyan militia commander told us. "It's like suddenly asking the inmates of Guantanamo to cooperate with their guards." He was talking about the Libyan government's efforts to get Libyan militia units in Benghazi to work with army commanders. On Monday, an official announcement said two of the most powerful militias - the February the 17th Brigade and the Rafaala al-S'hati Brigade - had been assigned new bosses, officers from the Ministry of Defense. The idea is to bring the militias under more direct state control, but it's unlikely to work. First, the militia leaders who have tasted real power - backed up by fearsome weapons arsenals - will not readily cede command of the men who fought under them to topple Libya's longtime dictator, Col. Muammar Qaddafi. Second, both commanders and fighters are convinced (with some justification) that the army brass is still riddled with Qaddafi supporters - officers who have for decades been their bitterest enemies. Khalid Khalifa, a fighter with "The Libyan Shield," a coalition of militias, sat down with CBS News in the shade of a eucalyptus tree outside the group's base in Benghazi. "I have a list of 1,000 names of former regime supporters we insist must be arrested before we take direct orders from the army," he told us. The Libyan Shield was due to have its new army commander appointed Tuesday, but any such move will be - at best - cosmetic. The Shield fighters already think they're cooperating sufficiently with the state. So do other armed groups, who point to the security work they perform. "The Rafaala al-S'hati Brigade even provided protection for the ballot boxes during the election," one of the fighters told me indignantly. And members of the February the 17th Brigade point out that on Sept. 11 this year, they were the ones who went to the rescue of the Americans trapped in the burning consulate in Benghazi. The fact is, these militia groups - some fairly disciplined, some Islamic extremists, some definitely in the category of "motley crew" - are still the law in Benghazi. The government doesn't have the power to change that any time soon - not without provoking a dangerous showdown, at least. The new Prime Minister - elected just a month ago - and the President of the National Congress have to build alliances and consolidate their power base first. Then, over time, with a lot of horse-trading and negotiation, the militias might be talked in from the cold. One idea being floated is to gather them up into a security force that would work in parallel but separately from the army - think U.S. National Guard. But anything that constructive and coherent is a long way off. Ask anyone here in Benghazi how many militias there are, and they just shrug. Even the fighters don't know. It doesn't matter to them, because they know they're still in charge.